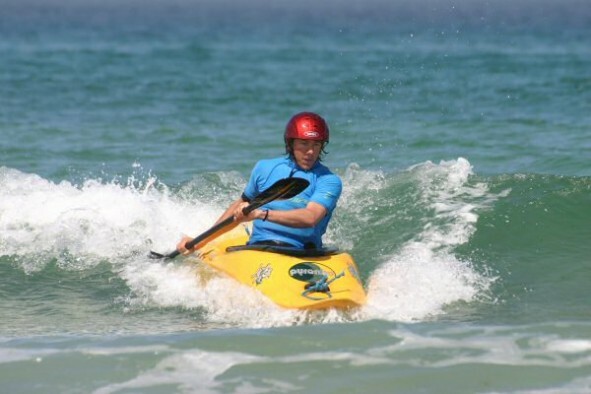 In partnership with our new activity providers Lizard Adventure, Surf Kayak Coaching are pleased to announce the inaugural Surf Kayak Symposium in 2016 based on the beach at Beachside Holiday Park from 6th – 8th May 2016. Our symposium has a real focus on providing quality coaching sessions in the right conditions for learning. St Ives Bay is well known to surf kayakers from around the country providing a perfect learning environment from small waves over gentle sand bars at the west to larger waves onto a perfect beach break in the East (and everything in-between). With one coach to every six participants and a maximum of 30 participants, you’ll have a much more personal experience than at other similar symposiums. Our aim is for you to thoroughly enjoy the weekend and to come away with a new or much improved set of skills and a huge smile on your face. Registration is held on Friday evening from 1900 on the 6th May. As well as surf kayak workshops for beginners (newcomers), intermediate (starting to catch green waves) and advanced (developing progressive surfing skills) there will be sessions on surf kayak/ski rolling, surf forecasting, safety in the surf, equipment design and much more. There will also be a range of different surf kayaks and skis for you to try. There will even be Sports Massage available on the Saturday evening or just relax and have a drink at the bar while taking part in our Surf Kayak Surf Quiz! The formal coaching will finish at lunchtime on the Sunday to allow those with long drives to get home, for those staying on there will be a free surf expression session in the afternoon. Symposium places are strictly limited and must be pre-booked by emailing: annette@lizardadventure.co.uk or call 07845 204040. For further details, please visit the Surf Kayaking website. Spaces are allocated on a first come, first served basis so please contact us as soon as possible to avoid disappointment. Looking forward to seeing you all on the beach!